Whether you’re creating a mood or addressing a functional concern, it’s sometimes hard to know when inspiration will strike. 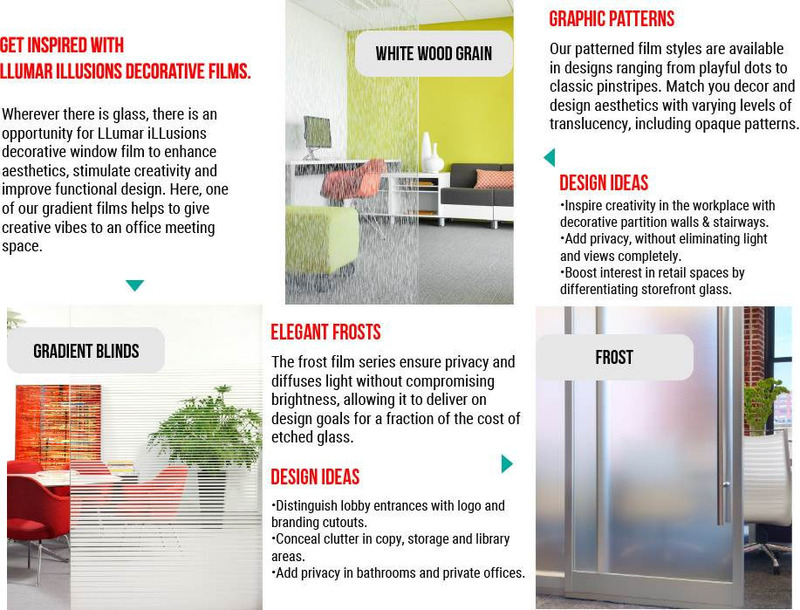 When it does, LLumar iLLusions decorative films will be there, with a broad palette of styles that include frosts, patterns, textures, gradients and specialties. They will bring your vision to life! 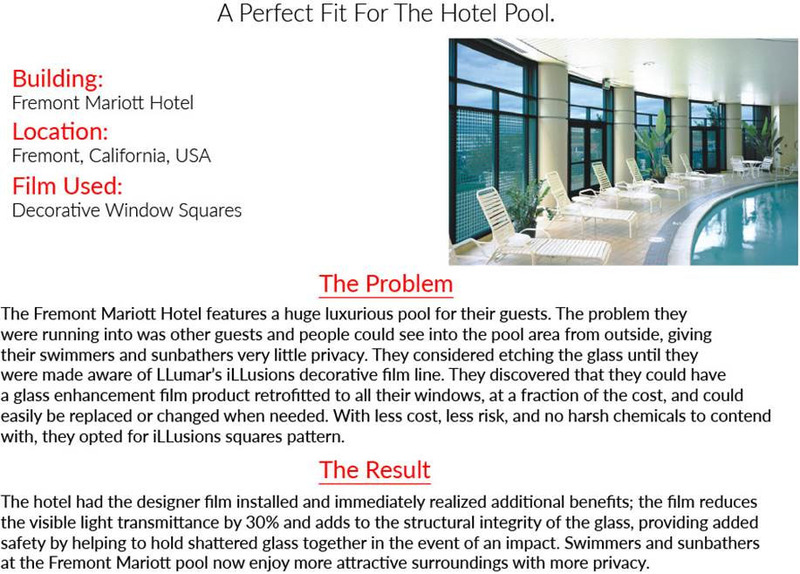 There are so many ways that LLumar’s iLLusions line can benefit your business or workplace. Inspiring creativity and functional design is what they do best. They can add privacy to windows without completely eliminating views, reduce the “fishbowl effect” in conference rooms, create and upscale look for medical offices, add a pop of color to a lobby entrance or even cover a retail storefront while it is being renovated. They also make it super easy to brand an old space for a new tenant or be a cost-effective way to make updates to fit the changing needs of your most loyal tenants. Whatever the case may be, we have go you covered at Cooper Tint & Electronics! Cooper Tint & Electronics has been serving Oklahoma for over 50 years! We are a small family owned and operated business that understands the importance of incredible customer service and a great customer experience and that's exactly what we strive to always provide. It doesn't matter if you are in to just look, spend five dollars or spend five thousand dollars - it is all important to us and we promise to treat you like family. You don't always get that with a big franchise. Our employee's have a combined experience of over 260 years in this industry. They will always take excellent care of you. Don't settle when you can have the best! Give us a call or come see us today!